A group of investors who recently purchased an Oakland residential hotel — and who have been accused of harassing the tenants to drive them out of their homes — pledged in court today to immediately repair demolished bathrooms in the building. "Construction will start immediately," said Kate Morrow, an attorney representing the investor group that purchased the building last year. The landlord's team, including James Kilpatrick, Jaevon Marshall, and a company called the Green Group, plan to refurbish the building and rent units out to more affluent tenants. The building's residents are currently low-income Chinese immigrants, many who do not speak English. Six months ago, Kilpatrick's company demolished two shared bathrooms in the building that served 25 of the 39 units. Tenants in the building accused their landlord of demolishing the bathrooms and leaving them out of service in order to pressure them to move out. The landlord's attorney denied the allegations of harassment, but last week Alameda County Judge Brad Seligman tentatively ruled in favor of the tenants. Seligman issued a preliminary injunction ordering the landlords to fix facilities at the property and remove surveillance cameras that some of the residents say are an invasion of their privacy. One of the surveillance cameras placed on the exterior of the property. 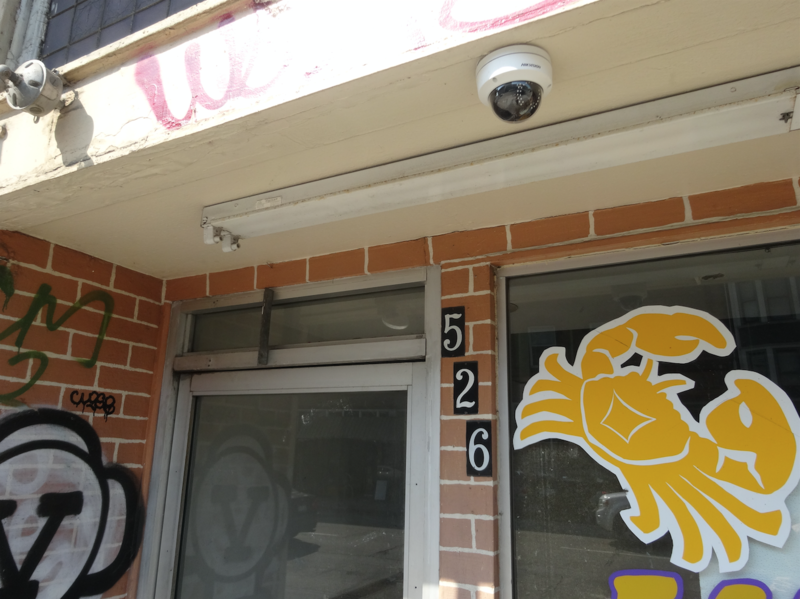 Tenants complained that other cameras inside the building are recording them on the way to the bathroom and in the kitchens. Seligman said in court today that he plans to personally visit the property as early as tomorrow in order to view the demolished bathrooms, kitchens, and the placement of the controversial surveillance cameras . At last week's hearing Judge Seligman also admonished the landlord in court, calling the behavior of Kilpatrick and his co-investors "callous." 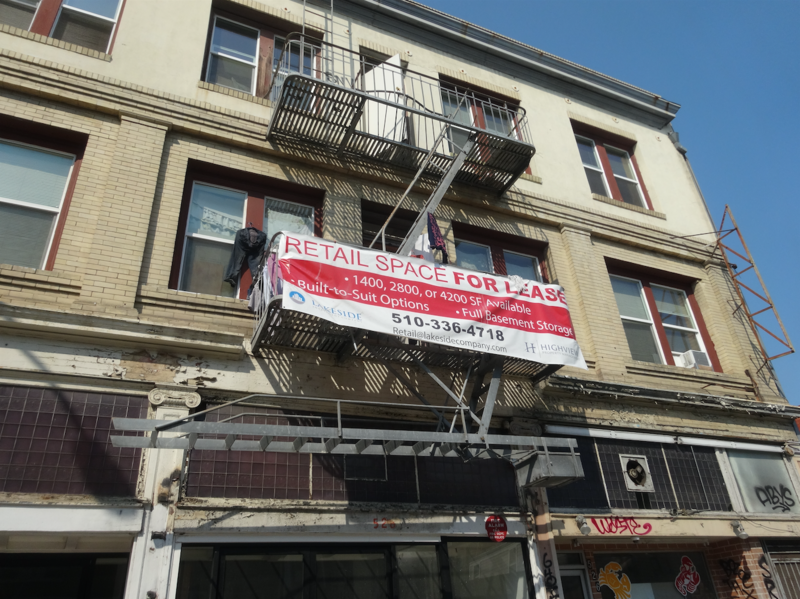 The lawsuit, charging the landlords with violating Oakland's Tenant Protection Ordinance, was filed by Oakland City Attorney Barbara Parker, and attorneys Katherine Chu of the Asian Law Caucus and Robert Salinas of Sundeen Salinas & Pyle. The Tenant Protection Ordinance bars landlords from engaging in activities that are designed to harass renters and displace them from their homes.